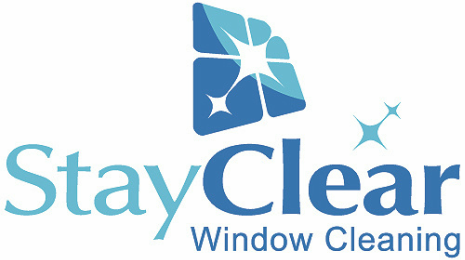 Bring your solar panels back to their optimum efficiency with a professional clean from Stay Clear. 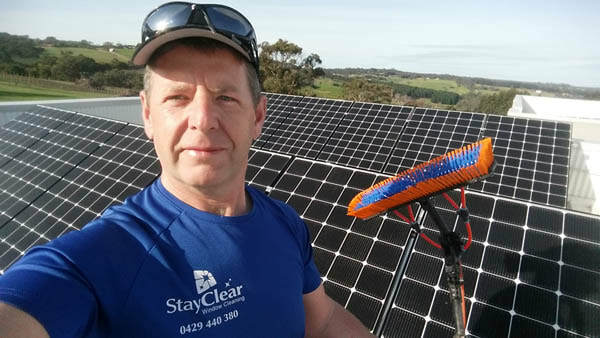 ​Solar panel cleaners for the Mornington Peninsula. Fully trained, equipped and experienced with the very latest industry equipment and technology. We can get your panels working more efficiently. You've already made the big investment in buying solar panels for your home, yet without regular cleaning you are literally short changing yourself. By leaving your panels dirty you deprive yourself of the optimum output your investment has to offer. Call us now on 0429 440 380 to get your solar panels looking like this. Our specialist equipment cleans the panels with purified and de-ionized water which means the panels are left completely spotless with no hard mineral deposit build up that you would get using regular tap water. The short answer is NO. Take a look at the photo above! Just as dirt and grime accumulates on your car's windscreen from dirty rain and particles so it is with solar panels. As the clarity diminishes, so does the efficiency of your panels. Losing up to 30% of their efficiency. We clean solar panels with a bio degradable detergent and water where required. Primarily we clean with purified water only using pure water fed pole technology. Have peace of mind that no harsh chemicals will be used during the clean and will get them looking shiny and like new again delivering optimum efficiency for your panels without affecting any tank water with which the run off may enter into. What's the best time of year to clean them? Spring is the perfect time to have solar panels cleaned as we enter the dryer months, but solar panel cleaning any time of the year will improve the efficiency of your panels. 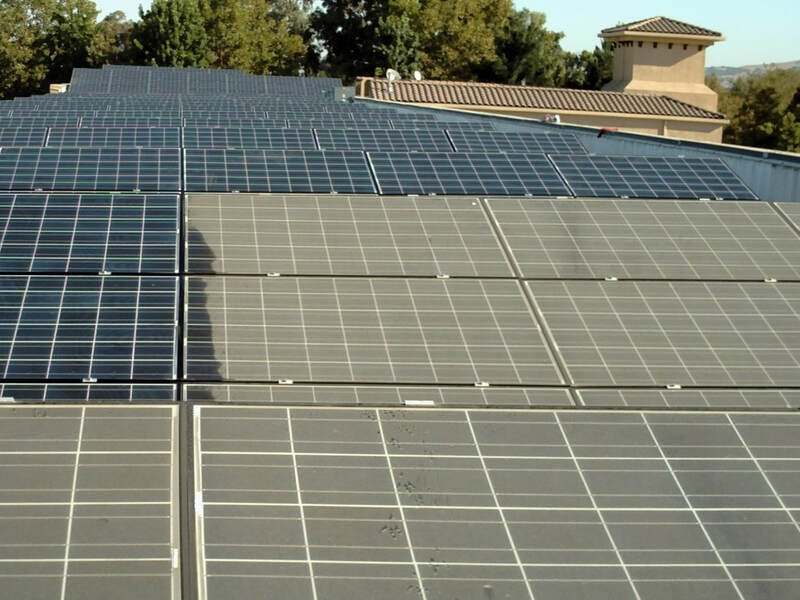 most solar panel installers recommend a professional clean of your panels every six months. Failure to maintain your panels simply results in a compromised system. Where do we offer our service? 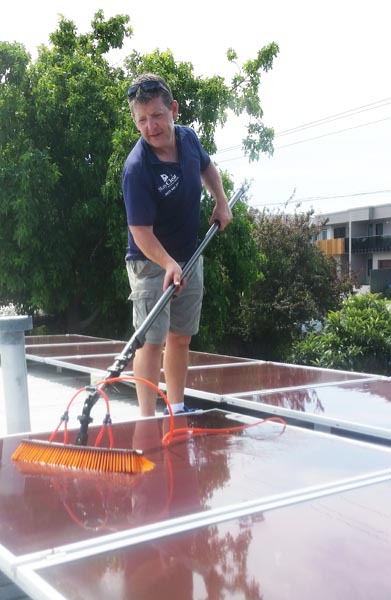 We clean solar panels across the Mornington Peninsula, Victoria and surrounding suburbs.Our service covers Frankston South all the way down the peninsula to Portsea and Flinders. Rest assured, our prices are always competitive. 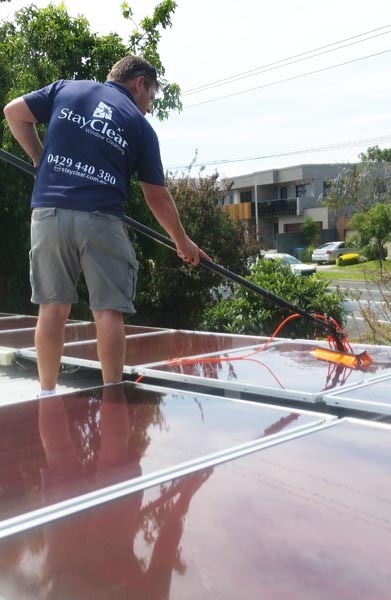 We are happy to give FREE Solar Panel cleaning quotes to homes on the Mornington peninsula and surrounding suburbs.